93% Of XRP Trading Volume May Be Inflated According To Research, How does This Affect The Price Of XRP? XRP news isn’t always positive just like the XRP price prediction. Members of the XRP rich list have had to deal with one controversy after another. From Ripple being accused of trading unregistered security to being accused of bribing Coinbase for an XRP listing, it’s been a rollercoaster ride for the XRP army. Now the XRP price prediction 2019 may be affected by the recent scandal. Per a report on CCN, more than 93% of the daily trading volume of XRP may be fake. If the allegations are true, how does it affect the XRP price prediction 2019? It’s not unusual to here of things like trading volume inflation, price manipulation and other similar things in the cryptocurrency trading space. Many cryptocurrency exchanges that don’t care about ethical practices permit things like wash trading making it necessary to weed out the fake trading volume from the real one to determine the strength of each cryptocurrency. The trading volume of XRP on CoinMarketCap is different from the trading volume from OpenMarketCap. While CoinMarketCap simply calculates trading volume from every part of the industry, OpenMarketCap only sums up the trading volume from exchanges and doesn’t give room for wash trading or any other shady practice. The XRP trading volume on OpenMarketCap is $81.7 million while the XRP trading volume on CoinMarketCapital is about $1.2 billion daily. If the data from OpenMarketCap is accurate, this would mean that 93% of the total trading volume of XRP on CoinMarketCapital is fake. 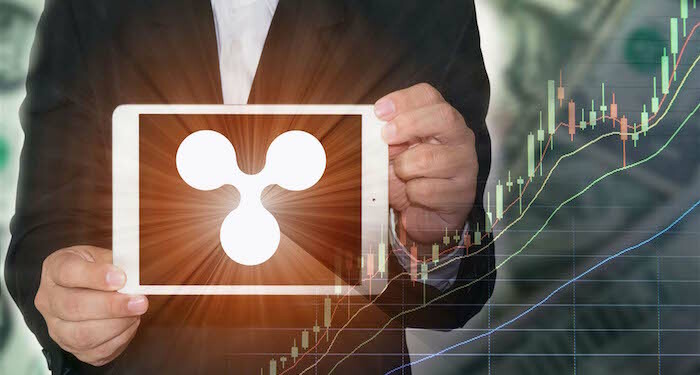 How does this XRP news affect the XRP price prediction 2019? XRP trading volume wasn’t the only one that was fake. The comparison also revealed that that Litecoin, EOS, Bitcoin Cash and of course, Bitcoin core, have fake trading volume. In fact, after removing the suspicious trading volume for BTC, its market dominance fell to 29%. This is rather significant considering the fact that Bitcoin is meant to be in control of more than 50% of the cryptocurrency market. Things like trading volume and market capitalization are put into consideration when a cryptocurrency is being ranked. It also helps investors determine how much trust they have in cryptocurrencies. If 93% of the XRP trading volume is being manipulated, this would mean that XRP doesn’t have as much hype or adoption as we think. This may also explain why the price of XRP has been stagnant for a while now with hardly any upward force. This kind of information can cause a panic sell-off that will drive the price of XRP lower against the USD. However, nothing like that has happened yet. The XRP price prediction 2019 is still about a fall in price followed by a rise. What do you think about the XRP news today? Will the data from OpenMarketCap affect the XRP price prediction 2019? Share your thoughts in the comment section.